In the first hour, Michael Swanson and Chuck had a unique exchange about the JFK Assassination and its implications regarding current events. Chuck also mentions his new glasses while the evolution of refining knowledge on deep political issues is made plain. Hour number two revolved around a strange mob hit in the news and a discussion on what the news is not alerting you about. Pearse Redmond makes a few announcements, and Chuck has to say he is sorry. 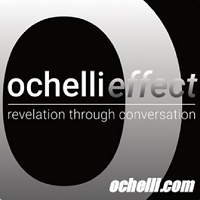 Tuesdays are always fun, educational, and unexpected on The Ochelli Effect. News, and entertainment factory installed. This week marked the return of PPR to a live show format on Ochelli.com. In the first hour hour I discussed the under reported raid on the North Korean embassy in Madrid. I talked about the shadowy group Cheollima Civil Defense which claimed responsibility for the raid. I discussed the allegations by Spanish authorities that at least two assailants have links to the CIA. Later I talked about the ringleader of the raid, Adrian Hong Chang, and his strange connections to institutions such as Yale and Freedom House. I finish off by touching on Leo Wolosky who has been retained by Cheollima Civil Defense as legal counsel. I also touch on the larger legal and geopolitical implications of breaking into a foreign embassy and stealing cell phone and computers. In the second hour Ed Opperman joined me for a wide ranging conversation. We started off by talking about Alex Jones’ continued legal problems with Sandy Hook parents. Ed and I discussed the recent deposition Jones had to give. We talked about the responsibility that we have as producers of media to tell the truth. We also touched on the extent to which we are responsible for the actions that out listeners carry out. Ed and I also talked about the danger of going after conspiracy theorists even ones as crazy as Alex Jones. Later Ed and I talked about the recent murder of purported Gambino boss Frank Cali by Anthony Comello. We talk about Comello’s fascination with Qanon and flashing MAGA slogans written on his hand in court. Ed and I discuss whether there is more to this case or if Comello is just a nut or a patsy. We finish off by ranting about how much we hate Michael Avenatti. Ed offers up his expert opinion on if Avenatti will face jail time. Analysis: Who was behind the raid on the North Korean embassy in Madrid?